Just $250 a month. That’s what it took to buy the 35-foot Flagship Cruiser from Owens Yacht Co., a boat the company called the “crowning achievement of Owens’ revolution in boatbuilding.” For that price, you got “big-yacht luxury”: a flybridge with a centerline control station covered by a fiberglass hardtop, teak deck planking and rails, and a pair of Owens 220-hp Flagship Marine V-8 engines. 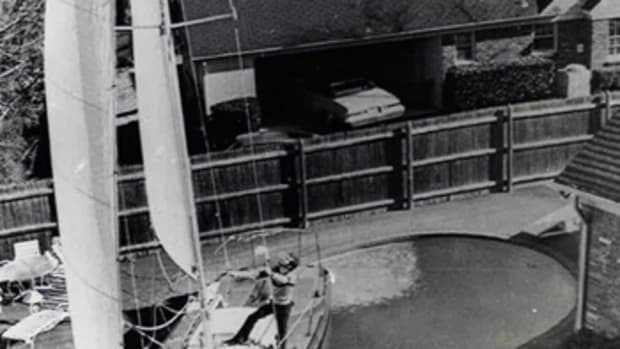 Below, the boat could sleep seven people. There was a galley up and a dinette in what the builder called the “family room,” along with a “dressing room” with a shower. The interior was trimmed in solid mahogany. 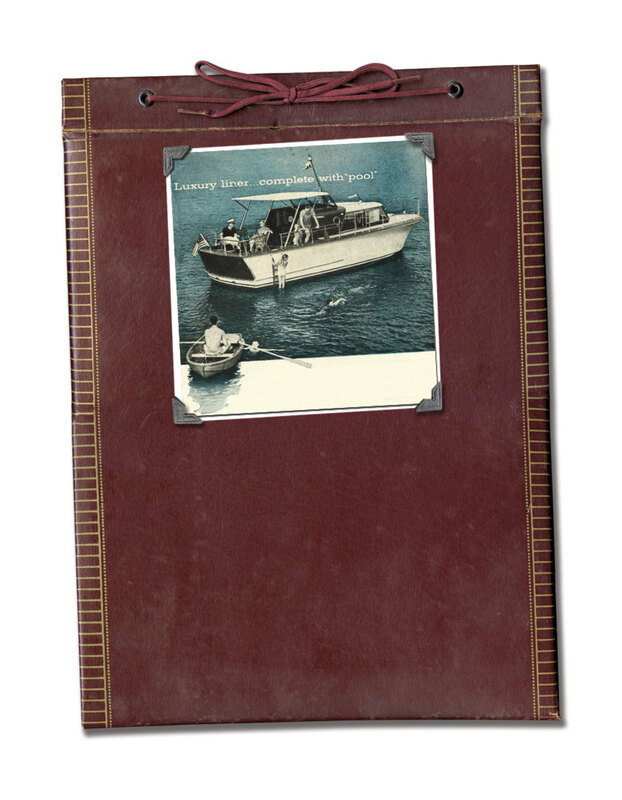 Annapolis, Maryland, custom builder Charles Owens, who worked at a yard on Spa Creek, founded Owens Yacht Co. in 1925. 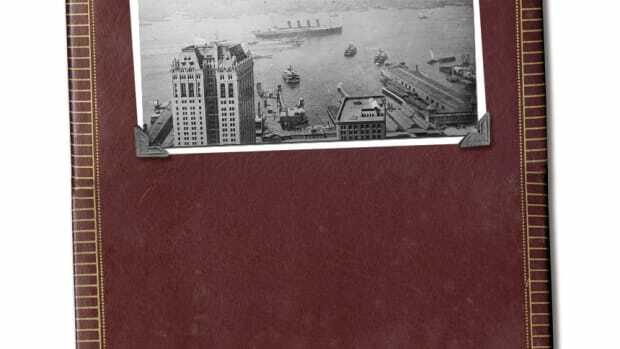 When he died in 1933, his sons — Charles Jr., Norman and John — took over the business. 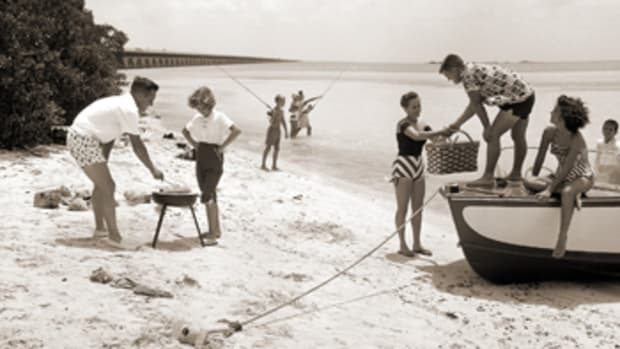 The trio tended it through the Great Depression, built rescue craft and landing barges during World War II, then turned Owens into one of the premier boatbuilders of the 1950s and ’60s. 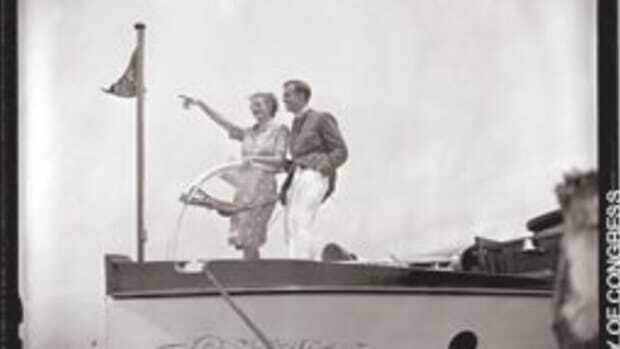 The company’s big break had come in 1937, when the Owens Cruiser debuted at the New York Boat Show. 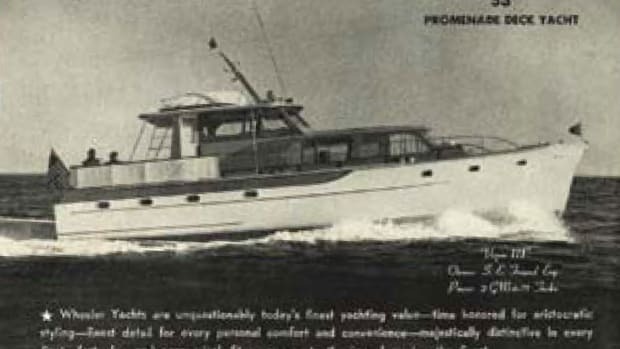 The 32-footer was a family-oriented boat, built for comfort and convenience, using mahogany planking and white oak frames. 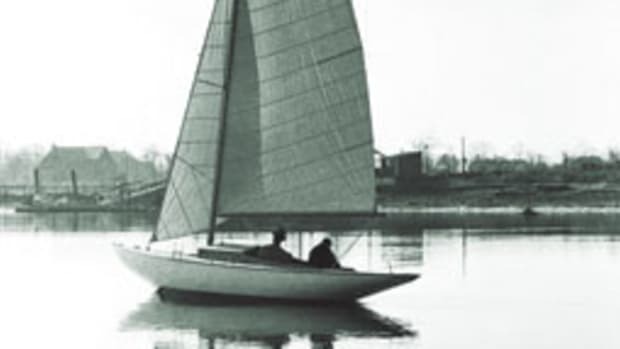 The 40-foot Owens Cutter sailboat was another popular model, well known around Chesapeake Bay. Owens was an early adaptor of forward-thinking production methods and new technology. It was one of the first converts to fiberglass construction (in 1957) and went so far as to produce its own V-8 engines. In 1959, Owens went public on the New York Stock Exchange. 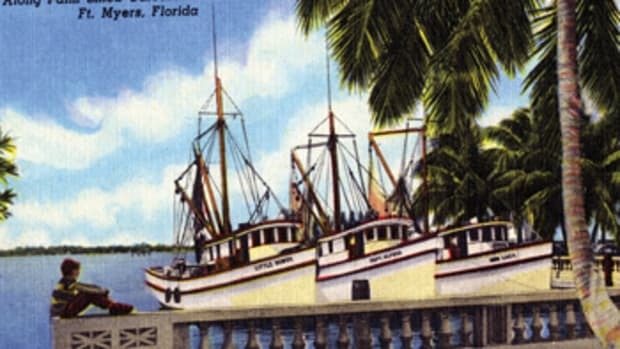 The Owens brothers eventually sold out to Brunswick Corp., which produced the boats for a time under the Owens name. 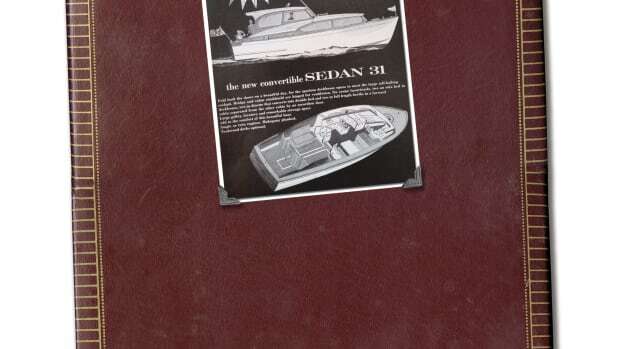 By the 1970s, the brand had disappeared, though the boats remain popular on the vintage market.